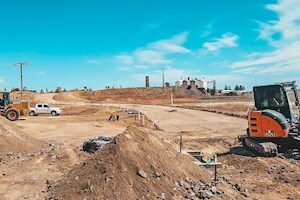 When copper was discovered in the area known as the Copper Triangle incorporating the towns of Kadina, Moonta, and Wallaroo, the mining of copper was essentially in Moonta, and Kadina, with the smelting done in Wallaroo. There is an area known as Wallaroo Mines, but this is so far from Wallaroo that it is nowadays essentially a suburb of Kadina. Copper was discovered in 1851, and of course getting to work in those times gererally involved walking. Consequently, people lived near where they worked, Kadina and Moonta for miners, and Wallaroo for smelters. Where did these people come from? Those generally regarded as the most skilled in these professions were Cornish miners and Welsh smelters, and there were many immigrants in both categories who came to Australia to take advantage of the need for their skills. The Cornishmen were well known for their mining skills, and also their ability to keep their mines pumped dry, having developed the steam powered beam engine pump. 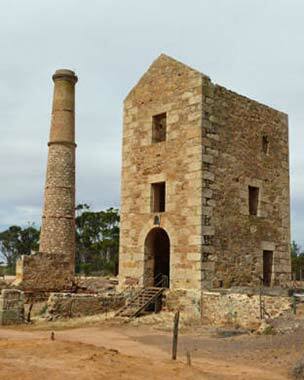 There is one of these still standing at Moonta mines site. We recognise the contribution of the Cornish by holding the “Kernewek Lowender” (Cornish happiness) festival every second year throughout the Copper Triangle. 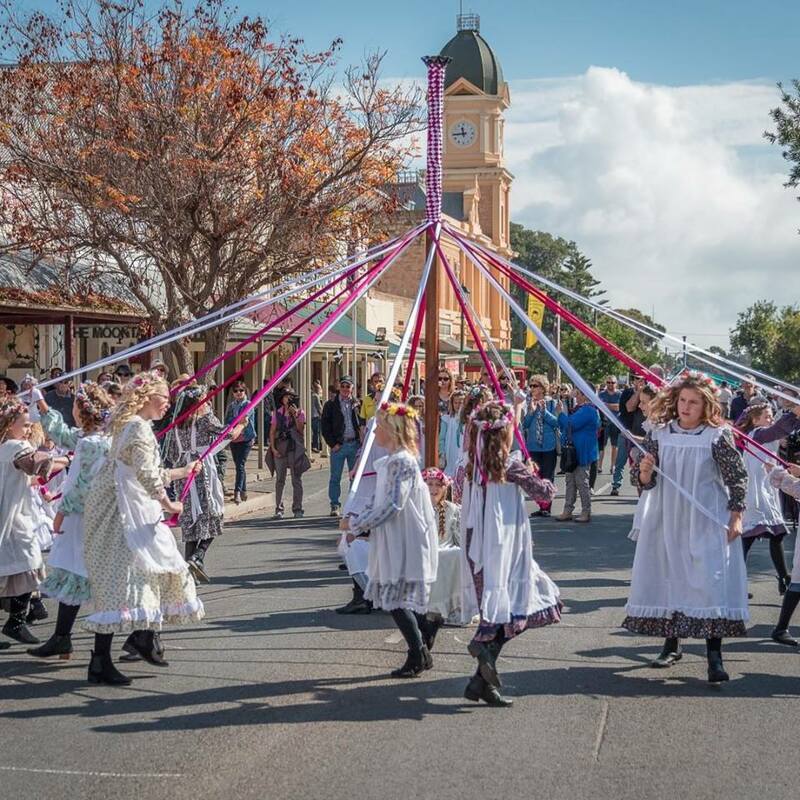 They played such a big part in the state of South Australia, that in 1865, nearly half of all immigrants living in the state were Cornish. Bad financial and work conditions in Cornwall encouraged them to emigrate to Australia. The Welsh seem to have been overlooked to a degree (no festival for them) despite their smelting skills. It would be fair to say that without these skills, there would have been no actual copper metal sold from Wallaroo. The process used was very complex and time consuming, and at the time it was introduced, it was only known to the Welsh. Over the years, changes to the smelting technology were incorporated to take advantage of new developments such as the blast furnace. Wallaroo became the biggest smelting site outside of Swansea in Wales, although some suggest that it was the biggest in the World. 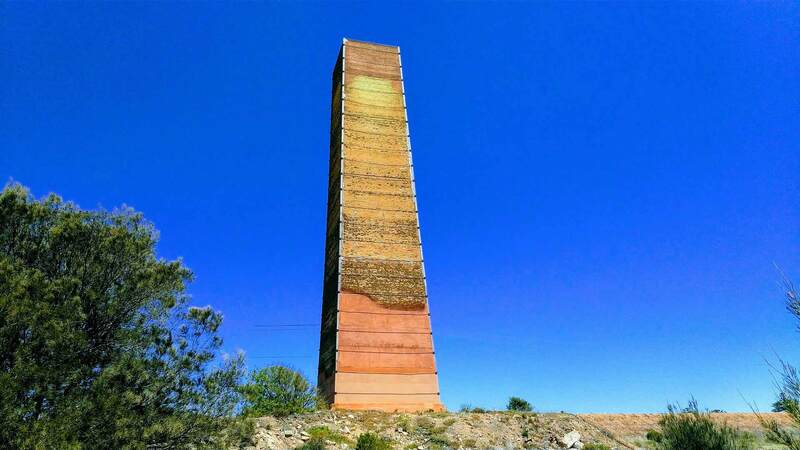 The Welsh trademark square plan chimneys were numerous, but now only one, The Hughes Chimney Stack, remains as a reminder of old times, and is being conserved. 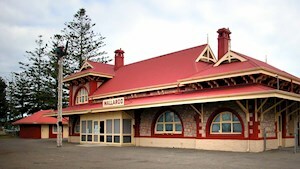 An extremely thorough history of Wallaroo and its smelting with detailed plans and historic pictures can be found here. 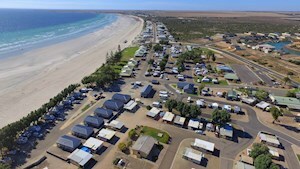 Whilst the Welsh employed in the smelters were by no means as numerous as the Cornish Miners in the other towns, many of the present day citizens of Wallaroo would have Welsh ancestry.